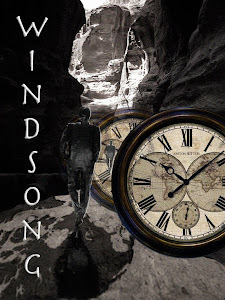 WINDSONG: Rihla (Journey 31): CHALDIRAN, NW IRAN: SUNNI and SHIA ISLAM – THE BATTLE for FAITH and POWER. This rihla is about Chaldiran in NW Iran. Throughout the Middle East and North Africa over the past two years the so-called Arab Spring has seen in a parallel development to secular demands for greater democracy an opportunist and orchestrated acceleration of fundamentalist Sunni neo-militarism, funded in the main by Saudi Arabian based organisations, to fill the political and religious vacuums created by regime implosions. To a great extent this Sunni militarism has focused on internal control of faith and power (with occasional diversionary mob incitement against western interests for such things as the publication of cartoons deemed offensive) but where there is an obvious Shia opposition or power base such as in Syria with the ruling Alawis, against the Houthis in Yemen, or as outlined above in Bahrain then the Sunni efforts to eradicate Shia influence have become most determined. This on-going schism amongst Muslims has led to atrocities being perpetrated by both sides in a complete denial of what true Islam purports to be. And when blame is being apportioned where else does Sunni wrath turn, to create a demonised target (and in the cynical way of real-politic incite or be duped by the involvement of Israel and the American-Israeli caucus) but to the dominant Shia entity that is the Islamic Republic of Iran. In nearly 1400 years from the time of the first Islamic civil war (First Fitna 656-661 C.E.) 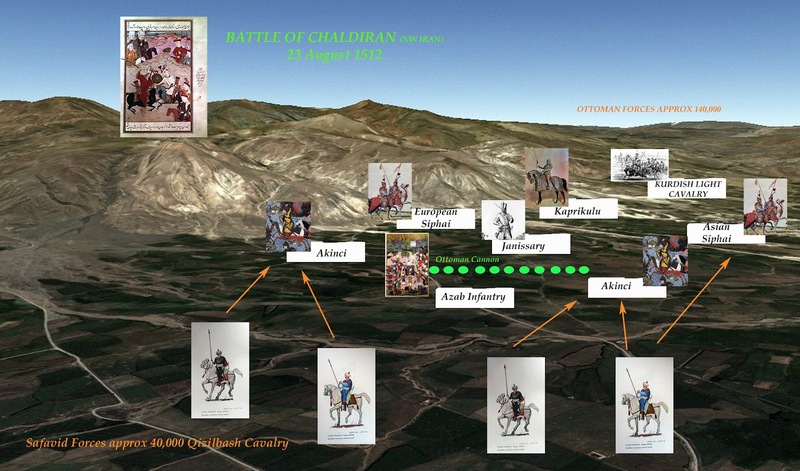 the Sunni-Shia internecine struggle for the control of power and faith in Islam (between Arabia and Iran) has not changed much but one of its most violent expressions occurred at the Battle of Chaldiran, in present day North Western Iran on 23 August 1514 when approximately 7000 (2000 Ottoman Sunni and 5000 Safavid Shia) died defending their version of faith in addition to a pre-emptive genocide of about 40,000 Anatolian Shia by the Sunni Ottomans in advance of the battle. I like travelling in places where there are land borders between states. In some instances the geography of that separation can be as great as a high mountain range or as puny as a trickling stream. Frontier people are different: equally accommodating or equally suspicious in two or three languages, two political rhetoric’s, two legislative structures, two religions, or two or more versions of the truth and very often as a family, a clan or a tribe will straddle the divide. At frontiers your senses become alive, alert to nuances that elsewhere become mundane. 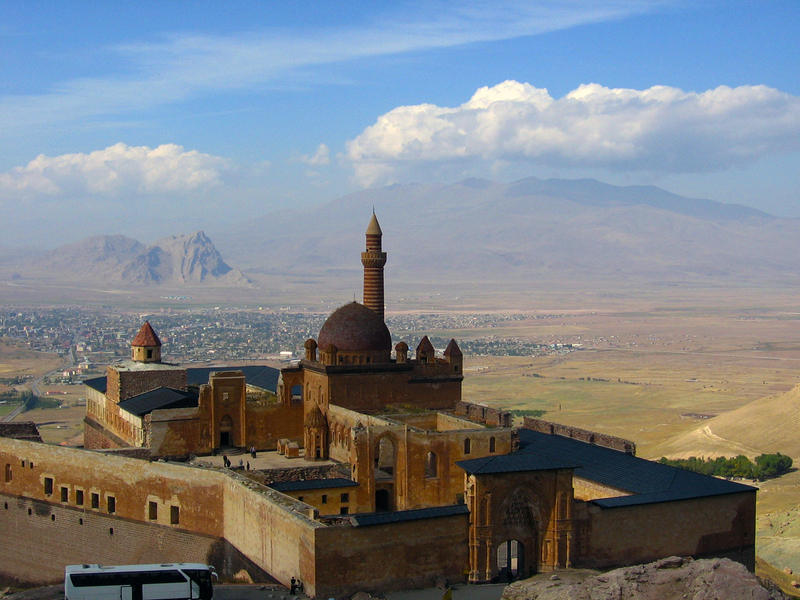 In October 2008 while travelling in Eastern Turkey I made my way to Dogubayazit, a large city about 35km from the Turkish-Iranian border. It sits in a green valley in the lee of snow-capped Mount Ararat (known by the Arabs as Jabal al-ārith, by the Turks as Büyük Aǧrı Daǧ, by the Iranians as Kūh-i Nū_ (Mountain of Noah) and as Mount Masis, or Masik, by the Armenians) and spent the morning dodging Turkish soldiers and Kurdish vendors on very dusty streets. Later on a balmy afternoon I sat on the terrace of the small restaurant that overlooks the magnificent palace fortress of Ishak Pasha, which is built on a high valley buff that stands sentinel over Dogubayazit from the south. 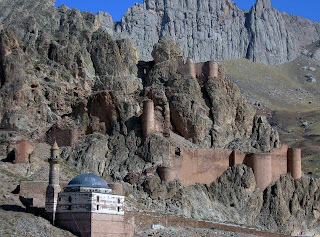 To the east and against the valley wall were the ruined walls of an Urartu fortress and a small mosque. A man beside me watched me take photographs and then he introduced himself. He was a Kurd, from Diyarbakir, a lawyer educated in Paris and London, in Dogubayazit representing some local men who had been rounded up in a recent Turkish crackdown on Kurdish secessionism. He pointed to the small mosque and told me it had been commissioned by the Ottoman Sultan, Selim I, known as The Grim, on his way to a place called Chaldiran, which lay about 70km to the south-east in Iran. 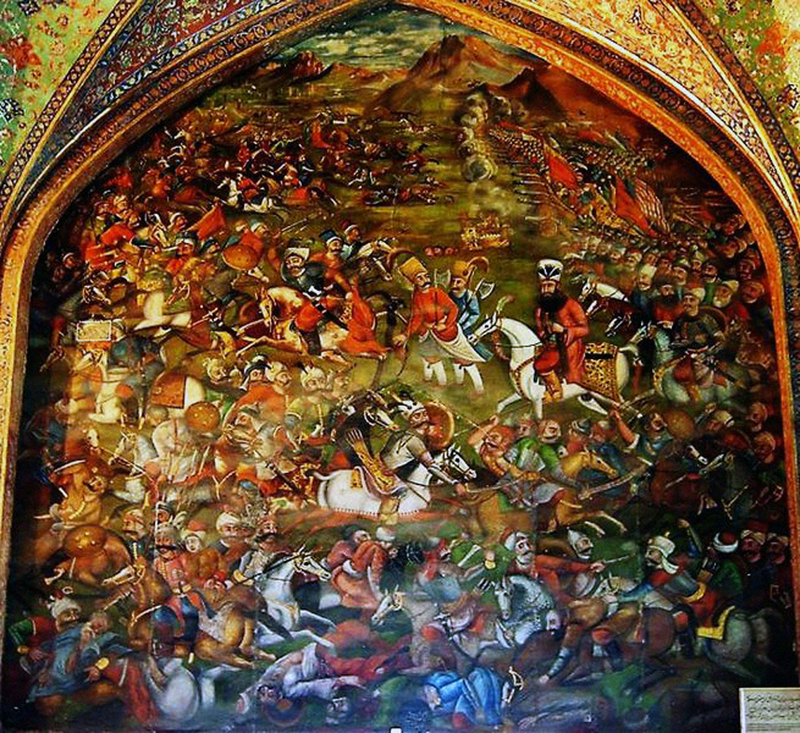 The Battle of Chaldiran, he told me was not only a dogma defeat for the Shia Iranians by the Sunni Ottomans but also was responsible for splitting the Kurdish homelands into two halves of influence, a situation which has existed to this day. Selim I, Yavuz Sultan Selim Khan (Yavuz means steadfast but was often translated in English as the Grim) came to the Ottoman throne in 1512 CE. Having battled and then forced the abdication of his father Bayazit II he subsequently defeated and then killed his rivals for the throne, his brother Ahmet in April 1513 as well as his other brother Korkut and nephews, thereby eradicating all internal opposition. He then turned his attentions to the east where the opposition was of a greater danger to his authority, his sultanship. Shah Ismail I, founder of the Safavid dynasty, was the last of the hereditary masters of the Safaviyya Sufi order. His father had mobilized Turkomen tribes into militant Qizilbash ( ‘Red Heads’ so-called from the red peaks to their turbans and the 12 perforations denoting the 12 Imams of Twelver Shiism) groups. 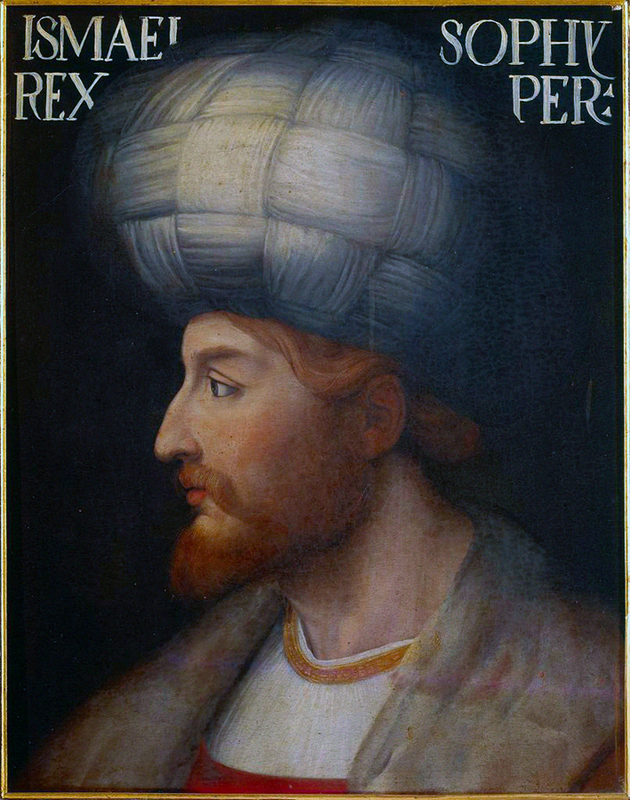 In 1501 Ismail with the support of the Qizilbash troops was crowned Shah of Azerbaijan and by 1510 Shah of Iran. On accession to power he declared Shi’sm to be the State Religion and began dispatching Qizilbash missionaries deep into the heart of Ottoman Anatolia (where in 1511 they orchestrated a revolt against Bayazit II that eventually signalled his downfall). In addition he advanced his forces as far as present day Diyarbakir and southern Iraq. His ascension, and the ascension of a Shia state posed a direct threat to Ottoman religious and temporal authority. Selim I, in response, gathered an army of 140,00 and force-marched it from Sivas in central turkey to Dogubayazit and then upwards to the high valley of Chaldiran where an army of about 40,000 Qizilbash troops under Ismail I had gathered. In 1511 following the suppression of the Qizilbash Turkomen-Alevi Kurd Shia Shakulu uprising 40,000 Shia were exterminated and to ensure that no further Shia remained behind his army to cause trouble Selim had ordered Yunus Pasha, before setting out on campaign, to supervise the inquisition and massacre of all Shia in his dominions. This distrust of Alevism still exists in Turkey today. In advance of the armies meeting Selim and Ismail had exchanged diplomatic correspondence. Ismail dictated his in Azerbaijani Turkish, which was the language of his people and of his powerbase. Selim on the other hand replied in Persian, which he knew Ismail did not have a full grasp of. They insulted each other by referring to each other’s addictions. In Ismail’s case it was his liking for alcohol and in Selim’s case for opium. Indeed in the final communication before the battle Ismail sent an ambassador, Shah Quli Aga with a golden casket full of opium for Selim with the request that no harm come to the ambassador. Selim had Quli Aga executed for the insult on the spot! 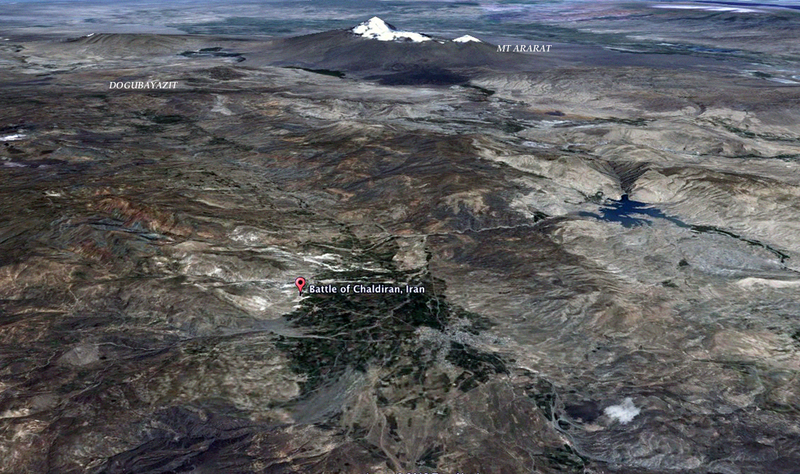 Around the 23 August 1514CE Sultan Selim’s troops entered into the valley of Chaldiran from the north. 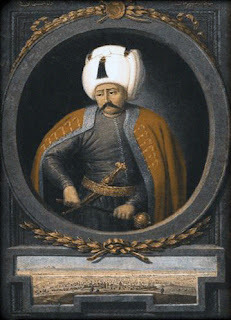 Knowing that they were heavily outnumbered some of Ismail’s commanders requested that they attack immediately before the Ottoman army had a chance to fully deploy. In the centre of the Ottoman forces were cannon batteries and a battalion of crack Janissary troops. Ismail refused, believing in his own sense of invincibility and also an archaic code of chivalry. Ismail’s forces did not have cannon ( a mistake they never made again) and on the morning of the 23 August 1514 his cavalry began to attack the Ottoman flanks. 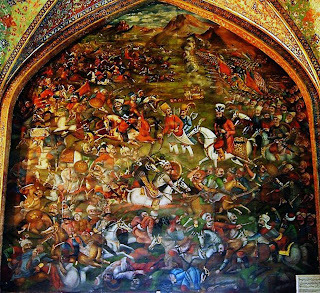 The ottoman artillery decimated them and the Safavid army was driven from the valley with 7-10,000 dead and leaving behind one if not two of Ismail’s wives who were subsequently married off to Ottoman generals. There are two other interesting asides to the battle. 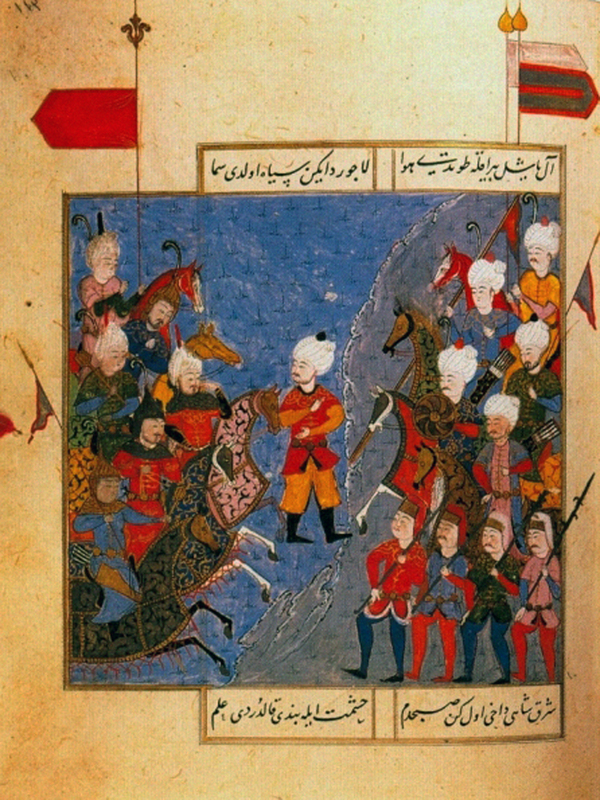 Firstly Selim entered Tabriz, the Safavid capital, and wanted to pursue the retreating Ismail towards the Caspian but was dissuaded by his Janissary commanders who partially revolted, explaining that because of Ismail’s scorched earth policy in eastern Anatolia the army could not be kept supplied. Although the Janissary troops loved their food it is possible that the hesitation on their parts was that the Janissaries were closely allied to the Becktasi Sufi Order a very similar order to that of Ismail’s Safaviyya and may not wanted to pursue their co-Sufi. Secondly in a positive development Ismail’s empire was noted for its Timurid inspired artists and calligraphers and upwards of 1000 artisans from the Safavid dominions were transported back to Istanbul where they provided the fundamental spark to the subsequent flowering of the high period of Ottoman art. 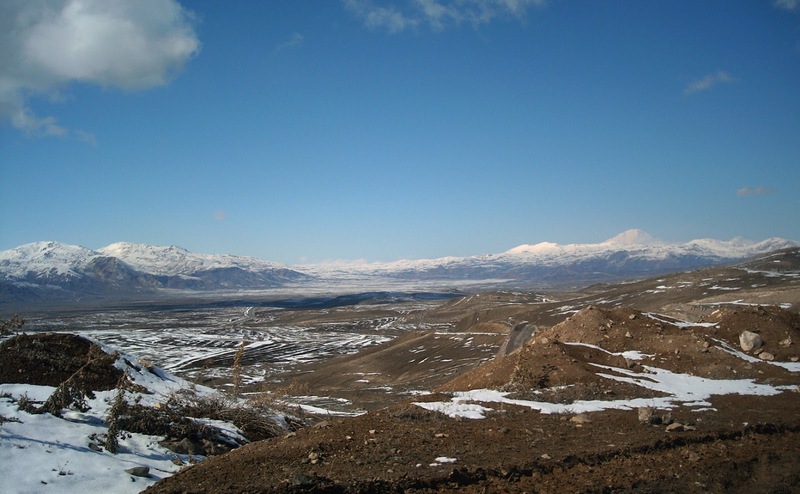 On St Patrick’s Day, the 17th March 2009, I travelled up from Tabriz in NW Iran to see the battlefield and valley of Chaldiran for myself. Approaching from the south-east having first stopped at St Thaddeus Monastery and Qara Church the sense of theatre could not be dismissed. A bitter-cold wind whipped in from the east. 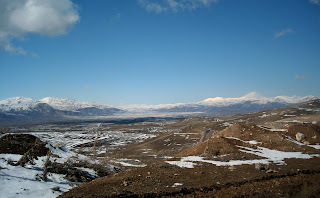 Snow-capped mountains rising to 2600m surrounded a fertile plain which is at 1820m above sea level with a single natural exit point to the north and to the south. There is a battlefield memorial between the villages of Sa’dal and Gal Ashaqi on the western rim of the valley. Chaldiran is a Coliseum on a grand scale, a killing zone where Sunni and Shia exterminated each other in the name of faith and power and left a legacy that resonates to this day. The silent screams deafened, as they now do in Aleppo, Syria and Manama, Bahrain.